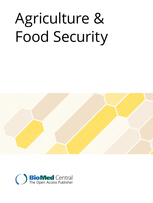 This special issue explores the importance of small-scale fisheries to food systems and food security at local, regional, and global levels. Fisheries, whether large or small, wild or farmed, commercial, artisanal, subsistence, or otherwise, contribute in multiple important ways to the lives and livelihoods of billions of people world-wide. According to the UN Food and Agriculture Organization (FAO), fisheries, aquaculture, and related activities provide the primary livelihoods for ten to twelve percent of the world’s population. In addition, the products of these industries account for a significant portion of the global diet, providing about 3 billion people with almost 20 percent of their intake of animal protein, and 4.3 billion people with about 15 percent. Fisheries are also important to culture and well-being in numerous coastal communities worldwide. Further, both small-scale fisheries and aquaculture have been identified as be key development venues for raising people out of poverty and food insecurity.. The special issue was developed through the TBTI 'Fish as Food' research cluster.